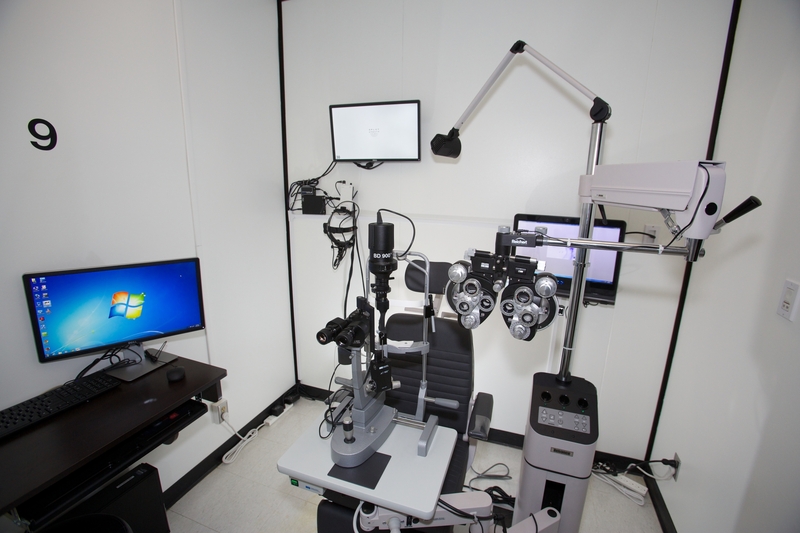 In March 2014, in recognition and celebration of the 110th year anniversary of the Southern California College of Optometry at Marshall B. Ketchum University, graduates and friends of SCCO at MBKU participated in a dedicated campaign to help complete the building of a Mock Clinical Skills Exam Room on campus. The effort was designed to contribute both charitable dollars and equipment to help prepare future SCCO students for Part III of their NBEO Examinations. “When we take National Boards Part III, the practical skills portion, we have to fly all the way to the facility in North Carolina. We are required to use their specific equipment and tools, which are not the same brands or types that we have grown accustomed to using here at SCCO. In the past, students have complained about the added stress and difficulty of being thrown into the boards exam with new, unfamiliar equipment, that they haven’t had the time to perfect their skills with. Led by the generosity of Lorraine Voorhees, O.D., SCCO ’71, Vice President for Student Affairs, and the MBKU Student Association Board, more than $45,000 was raised in outright gift and equipment donations, and the Mock Clinical Skill Exam Room was completed and unveiled at a special evening continuing education seminar event with Dr. Paul Ajamian on Thursday, September 25, 2014. Joined by 75 additional donors, Dr. Voorhees and the Student Association have demonstrated their dedication to the core educational mission at MBKU—supporting student growth and the development of talented health care providers. This effort is just the beginning of MBKU’s commitment to providing cutting-edge technology to its students. As an interprofessional environment—home to Optometry, Physician Assistant and future home to Pharmacy studies—leading the way forward means providing the highest level of shared experiences to educate future health care providers in teams to promote comprehensive, patient-centered care. 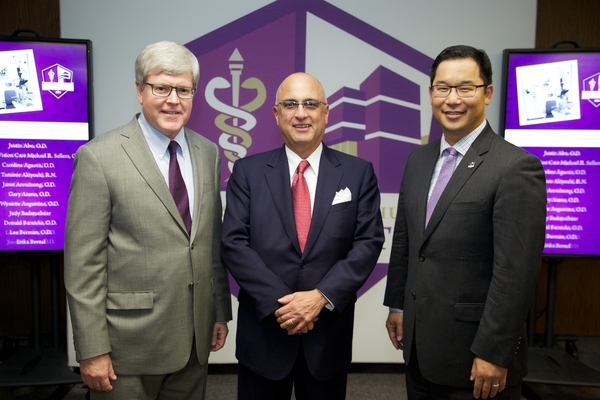 Pictured here: Dr. Kevin Alexander, President of MBKU (left), Dr. Paul Ajamian (center), the speaker at the special evening CE event, and Dr. Stanley Woo, Dean of SCCO (right). Alumni, parents, local societies and associations are encouraged to contact University Advancement at 714.992.7832 for more information or to make a commitment to support future student growth and technology enhancement efforts.